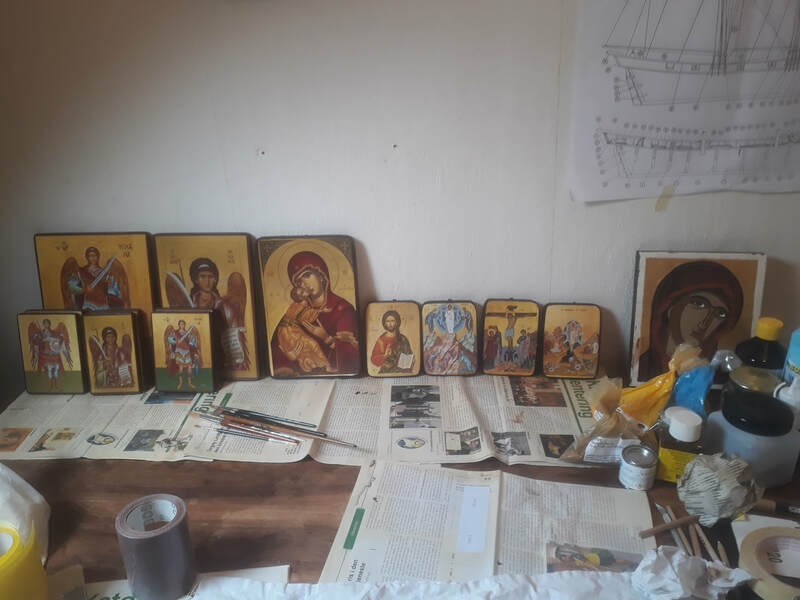 ​Currently I´m working on partly handmade Icons with six themes on wood from Beech and Linden tree, and a Sûnyatâ Sutra written on the back. The six classical themes are: The Virgin and Child, Christ the Merciful, The Transfiguration, The Crucifixion, The Resurrection, and Archangel Michael. ​In my article The Spiritual Practice of Icons, you can read more about my Icons and their mysticism.